Dubai World EXPO 2020 - Welcome to the future! World EXPO 2020 in Dubai promises to be one of the greatest ever and is likely to be executed in the true futuristic style of this rapidly advancing destination. The importance of bringing people together from all cultures and nationalities on earth. The movement of people throughout geography, borders and landscapes. Unlocking the potential of people and their communities. The Dubai World EXPO 2020 grounds are expected to fill a massive 20 Hectares of land within the planned gated area, which throughout the entire period of operation is expected to receive some 25 million visitors. The average daily forecast suggests the need to handle up to 150,000 people and on peak days 280,000 visitors are expected to attend, which effectively indicates the edges of maximum capacity. No doubt Emirates Airlines are actively scheduling towards this forecasted volume of people. The Countdown clock is foremost in the minds of the organizers, suggests that some 1,300+ days are left as of 14th of April 2017. The current stage has finalized all planning and the project is so far on schedule with decision making on track. Construction started early 2017 and more JCB’s are on their way! Many countries are excited about the prospect of participating in the Dubai version of World EXPO. Luxemburg and Switzerland were the first notable two countries that have shown an early adoption to portray the essence of their culture and society. The opening day for the Dubai World EXPO is on the 20th of October 2020. At present, some 200 people are actively employed, however up to 700 staff overall are envisaged, which will represent a vast number of nationalities, thereby reflecting the ideals of World EXPO. Most countries on planet earth will feature a national pavilion, all within an environment generated by the UAE hosts of openness and hospitality. In terms of infrastructure, the Dubai Metro line will be extended and linked to the new airport of Dubai, as well as uniting all parts of city. The road infrastructure will of course be further expanded to connect the city to the EXPO gated area and a forecasted 85% of all development will be utilized in legacy mode post event, with national assets remaining, such as key University areas. At present, the capacity of Hotel rooms in Dubai stands at approximately 85,000, however yet more growth is expected by 2020. The last World EXPO was executed in Milan Italy, where a team of UAE organizers camped-out on site to learn valuable lessons. In particular, the objective was on establishing relations and understanding potential operational needs, the nature of visitor bases and overall expectations. Moreover, as the UAE is the land of SME’s (Small & Medium Enterprises) and FZC’s (Free Zone Companies), much has been done through online platforms and the like, to assure the greatest involvement of such entities. 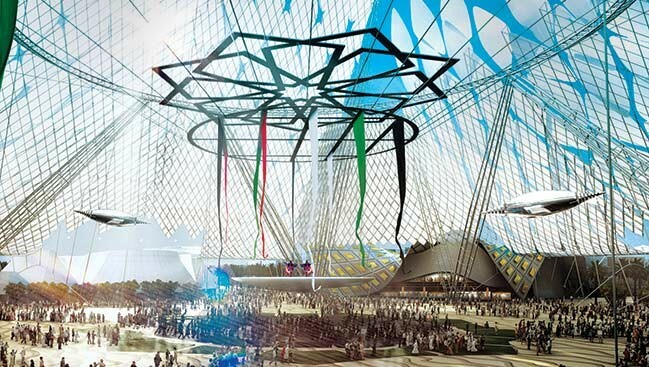 The Dubai World EXPO will be 6-month long event in 2020 and all countries involved from Palau to Paraguay, will contribute through their own unique identity, by transmitting expression and interpretations of their respective cultures, societies and lifestyles on a global platform.